SAINT CHARLES, MO (August 21, 2018) – Milestone is pleased to announce the recent addition of three key executives to its leadership team: Chuck Cannata, Mike Schiller and Kathy Tierney. Cannata, Schiller and Tierney will report directly to Don Clayton, President and Chief Executive Officer. Chuck Cannata joins Milestone as Executive Vice President for the trailer leasing division, leading the nationwide branch network’s commercial activities, including sales, customer service and field operations. Chuck brings 18 years of commercial equipment finance experience to Milestone, including eight years of sales management and business development at GE Trailer Fleet Services. He is based in Kansas City, KS. 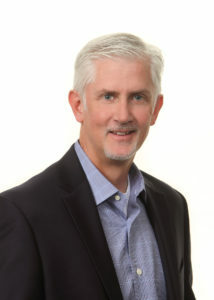 Mike Schiller joins Milestone as Senior Vice President of Operations Support, leading key functions such as real estate, vendor management and environmental health & safety. Mike brings 23 years of trailer leasing experience to Milestone, including 21 years of diverse commercial and operations experience at GE Trailer Fleet Services and two years of general management experience at Fleet Trailer Leasing. Mike will be relocating to St. Charles, MO. Kathy Tierney joins Milestone as Vice President of Human Resources, leading all key HR functions, including recruiting & development, employee relations, payroll & benefits and compliance. 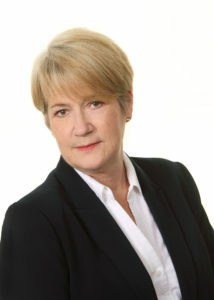 Kathy brings 40 years of HR experience to Milestone, including 20 years at First Bank and 20 years at Venture Stores. Kathy is based in St. Charles, MO. 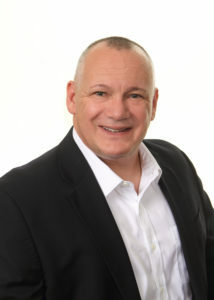 John Brockmeier is a veteran of the industry. With 30 years of experience in transportation and operations management, his wealth of knowledge and skills have helped to build superior teams that support Milestone Trailer Leasing’s comprehensive national network. Brockmeier shares how he get got started, what urgent issues face the industry, and the secret to good leadership. Tell us about your role as Director of Operations at Milestone Trailer Leasing. What are your responsibilities? My responsibility is to oversee all the branches in our national network. I make sure our branches are keeping track of inventory and processing their purchase orders and I also do all of the auditing. I go through every branch, examine their paperwork and make sure everything is going smoothly. We have over 25 locations across the US, so I do a lot of traveling. At the end of 2017, I was traveling almost every week. I started in this industry in 1987 with AJF Trailer Leasing. My advisor from college had connections with the company and encouraged me to start my career there. I went to Chicago and worked there for four months, then moved to Louisville, Kentucky, then worked for the AJF branch in St. Louis. Later, I transferred to AJF corporate headquarters when they started a 24-hour road service. There were a lot of changes in the coming years – AJF merged with XTRA Lease until 1997, then went to Fruehauf Trailer Services from 2000 to 2003. They sold that division to Aurora Trailer Leasing, then sold to Milestone, which I joined in February of 2012. Also, I enjoy interacting with our team. I like giving them ideas that I’ve used over the years and watching them apply it to their professional lives. One example of this is a trip I made to one of our branches in Chicago. I had completed an audit and unfortunately the personnel received a D rating. I watched the two employees take my ideas, reinforce what we needed to do and they went from a D rating in 2012 to an A in 2017. I’m proud that I’ve been in this industry for 30 years. Coming to work for Milestone has been the highlight. XTRA is the big gorilla in this industry, but I wanted to be in a culture that felt more personalized. At Aurora, it was more accounting driven, if a deal wouldn’t work in their structure they just wouldn’t do it. But at Milestone, if a deal comes us and no matter how goofy it is, we will try to figure out how to make it work. I’ve been very happy to be here and figure out how to serve our customers. Watching these deals happen gives me my greatest sense of accomplishment. What are the most urgent issues facing the industry right now? The lack of good drivers. There’s a general lack of accountability and caring about your equipment. I’ve been in this industry for 30 years now. If a driver has a light out, he would replace it. But now they call in for service and get it repaired for them. There’s just not enough quality drivers in the industry. How is Milestone addressing those challenges? We can’t recruit drivers for our customers but we can give them better trailers so their drivers don’t tear them up so badly. Tell us your thoughts about leadership. What do you look for when building a team? Good communication. From my standpoint, the ideas we put into place get clearly communicated to our field personnel. From there, if they don’t understand something, they need to communicate back with us, and make sure they are totally understanding what is expected of them. The key to a whole team is communications up to down and down back up. What sets Milestone apart from the competition? We are easier to work with than our competition. That is the long and short of it. Compared to other companies, and I’ve worked at a lot of them, they’re not even close. What is the key to superior customer service? Number one the people who are willing to do the things not during normal business hours. To make the customer happy. Of our two national accounts, FleetNet and Goodyear, drivers who break down can call into one centralized number to get help. Both vendors have my cell phone number. It’s all about accessibility. It’s a 24-hours-a-day, 365 days a year kind of working relationship. I never turn my cell phone off. I’ll take the call. Innovation, opportunity and growth – it has been a phenomenal year for ChassisFinder. The online chassis reservation platform experienced record growth nationwide in 2017 with a stunning 50 percent increase in chassis on-hire during peak in 2017 versus peak in 2016. In addition, Milestone saw an unprecedented 612 percent increase during peak in 2017 versus peak in 2016. Responding to market demand, the company continues to open depots across the country, most recently in Southern California and the Greater Boston area. And more exciting things are to come. “We look forward to carrying this momentum into 2018,” says General Manager Jason Anderson. He shares the key to his team’s success, the biggest challenge facing the industry and what he looks forward to in the coming year. Tell us about your role as General Manager of ChassisFinder. My first responsibility is to approach equipment owners and let them know why they are at an advantage to put their chassis into the ChassisFinder system or pool. Secondly, I do a lot of work in continuous improvement of our platform. This year, there was an enormous effort put into the system to make the platform more flexible and dependable for our vendors. Thirdly, I engage in a lot of customer service. I get plenty of inquiries. Even when I’m on vacation, I take my cell phone with me. The fourth role and responsibility I have is building TrailerFinder. We’re planning the launch for Q1 2018 and always looking ahead for future opportunities for improvement. Tell us more about the concept behind ChassisFinder. How does it work? It was envisioned to be a “Hotels.com” for chassis. If you need a chassis and you need to shop by price, by quantity, by availability, you could find all those attributes for all the equipment you need. ChassisFinder has experienced a tremendous amount of growth in 2017. What do you attribute that to? Better autonomy. Consumer confidence and a strong retail sector this year. We’ve seen a general improvement in the economy across the economy. We have a lot of good people at Milestone that I work with on a daily basis and a strong commercial team to move ChassisFinder forward. They’ve made some very strong deals that were short term and were booked through ChassisFinder. What are the advantages to an online booking portal? Customers can book equipment in less than a minute, 24/7. It’s possible for them to pick up a chassis in a few minutes either coordinating with dispatch or making the reservation right from their phone. Before ChassisFinder, what was the typical way to find a chassis? The old way was calling someone, negotiating a price, getting approved, signing a contract and finally dispatching a driver. Now, the trucker could sit outside a gate, lease a chassis on their phone, and pick that up in a few minutes. Also, all of the equipment in ChassisFinder is practically brand new – that’s another advantage. Let’s talk about the advantage of brand new equipment vs. refurbished. What are the pros of using new? Old remanufactured equipment is still old. There is risk of older equipment failing. Whether I am the truck driver or the trucking company, I have too much at stake to risk my business or my reputation on an old remanufactured piece of equipment. Older equipment costs more to maintain and remanufactured chassis may not require modern safety amenities such as tire inflation or anti-lock brakes. With a brand new chassis, there is little to no M&R. Plus, you can’t put a cost on peace of mind. What is the biggest challenge facing your industry today? Not knowing what the steamship lines are going to do with their chassis. Best case scenario: they decide they don’t want to be the chassis business and ChassisFinder vendors reap those benefits. What’s required in building a good team? Persistence, intelligence and industry knowledge. If you have a desire to work hard, constantly learn and foster new ideas, you will do very well in this business. I like helping new customers understand what an asset ChassisFinder is for them. How it can change their business because they are not obligated to sign a term lease for a year or more. It helps them be more agile. It boosts their business. I like helping new customers realize that and to help them to use ChassisFinder to transform the way they do business. What does the future hold for ChassisFinder? What things are you excited about? Our growth has been phenomenal in 2017. Moving forward, we need to add new vendors and bolster our customer base. It’s hard to tell what’s next for ChassisFinder since we change gears pretty fast. We’ll probably see more automation and back-office improvements. One thing is for sure, we are very excited about getting TrailerFinder online in 2018. When Doug Hoehn joined Milestone in 2014, he was tasked with the duty of creating the company’s new Chassis division. In a short period of time and under his leadership, Milestone Chassis has grown to 7,000 chassis strong – all brand new, modern and premium – in 29 locations across the US. The industry veteran (his career spans over 30 years in transportation) shares the most important ingredients in building a team, the biggest challenge facing the industry, and what accomplishments make him proud. Tell us about your responsibilities as Executive Vice President of Chassis & Managed Assets at Milestone. I’ve been involved in the startup for the Milestone Chassis business – the newest of the three product lines. In addition to staffing the organization, I’m responsible for sales, marketing and operations, as well as overseeing some of the operational responsibilities for our intermodal trailer and container business. Beyond the Chassis group being responsible for managing and procuring our chassis and sites, they manage our peak program and ensure the delivery of trailers and containers. We run about 12,000 trailers for customers during peak season, as well as 3,000 domestic containers. Following peak season, we are responsible for storing the trailers during the year, making sure they are maintained, and then preparing them again to go out on the road for the next peak season. You and your team built the Chassis division of Milestone. There’s been a lot of growth in this area of the company since its founding in 2015. What was involved in its creation? It involved developing a strategy to implementing that strategy and putting inventory in 29 locations across the US. The fleet today is almost 7,000 chassis, all brand new, modern and premium, available for daily rentals, short term rentals and long-term lease. There’s a lot of discussion around new vs. refurbished chassis. Why is this so important? At the end of the day, a refurbished chassis is still an old chassis. I think of it this way – you can bring in a beat-up car to someone, get the dings hammered out, give it a nice paint job, and make it look shiny and new. But the reality is, it might still be falling apart on the inside. With an existing chassis, you can do the same thing, give it a paint job and put some new tires on, maybe replace some of the mechanical things like give it new brakes – which may or may not have ABS – maybe replace the lighting to bring that up to spec. And this is what a refurbished chassis is – it may look good on the outside but you really don’t know how reliable it will be when the rubber meets the road. With a refurbished chassis, compared to new, your overall operating expenses will still be higher than a new piece of equipment, and it still lacks modern technology that we would insist be installed on our own personal vehicles. Over time, a new chassis will be cheaper to operate. Let’s talk about leadership. You’ve build a lot of teams over your career. What’s key in creating good synergy? When you’re developing a team, of course you must recognize that everybody has different responsibilities, different skills and varying levels of training. Part of our job as leaders is to develop that team to be well-rounded and to grow together. One thing our team here in Burr Ridge (Illinois) will say, is that they all work hard and they play hard, and they do it together. I’m proud that we’ve nurtured that kind of culture. Give us a recent example of your team working together and accomplishing a goal. Getting all this equipment ready for peak season was top priority for a long time. The team worked tirelessly and around the clock. They found new vendors and managed and improved the process so we had the entire fleet ready. The deadline was Oct 1. But the team got everything ready by Sept 1. We were one month ahead of schedule. And that was possible because of the team working and delivering it together. From a business standpoint, I’m proud of what we have built over the past two years. We took an established brand in the intermodal and over-the-road trailer business and added a third product line. On top of that, we also created an entirely new branding for Milestone. On a personal level, I have two daughters and a son and I’m very proud of my family. I’m also proud of being a doting grandfather to 1 ½ year-old twin grandchildren. Any goals for the coming year? Yes, a personal goal: to get my golf score lower than my bowling score! One of the things that sets Milestone apart from the competition is its approach to customer service. How do you keep customer service personalized while also growing as a company? One of the things we emphasize with our employees is that everyone who picks up the phone and talks to the customer is a sales person. There are all these adages about how it’s easier to lose one person as a customer than it is to gain that person as customer. Our team is always looking for new and innovative ways to help a customer. We genuinely want to provide flexibility. We pride ourselves in tailoring our solutions to provide a better product for our customers. The biggest challenge for the chassis industry is the overall age and condition of the existing chassis fleet in the North American market today. It’s because of this challenge that we have invested in new equipment. The reality is, there is a very large portion of the fleet that operates that is old and outdated and needs to be replaced. There is no single day that’s the same. Every day presents new challenges. I’m constantly working with people to develop new solutions. I travel tirelessly. I’m always on the road. I’m very rarely in the office. Some people might think this would be a negative, but I enjoy the people I meet along the way. People in the transportation industry are a pleasure to work with. Intermodal is truly multiple modes of transportation and providers, all working together to provide a service. It requires a lot of coordination across divisions and with people all around the world. It’s a very satisfying line of work. 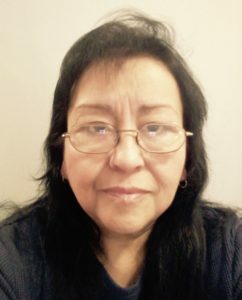 As Milestone continues to expand its footprint, serving customers in its growing network across 25+ cities nationwide, the company welcomes new team member – Jean Calderon, Branch Operations Assistant in Romulus, Michigan. What are your roles and responsibilities at Milestone? My duties are to assure the branch operates smoothly. Answer phones, open mail, sign for packages, attend to all PO requests (vendors to in-house mechanics) in a timely manner, assure all files are up to date with all proper paper work, from registrations to license plates. Keep all spreadsheets updated and entered properly. Assist in any area that is in need. And be an all-around team player! Where were you before you joined Milestone? I worked for an automotive financial company. What do you look forward to contributing to the company? I look forward to contributing my work ethic, bilingual skills, organizational skills and customer service skills to the company as a whole. Why do you enjoy working in the transportation industry? I enjoy automotive in general, whether it be automotive or transportation. I enjoy working with people. Meeting new people, helping out a customer or vendor in a pinch. Helping my co-workers, customers or vendors in any way that I can. Lori Crider is passionate about building relationships with customers. It’s what gets her excited about her role as Sales Manager of Milestone Trailer Leasing’s Dallas division. She shares why Milestone is the absolute best trailer leasing option and what’s key to growing and retaining customer relationships. Tell us about your responsibilities as Sales Manager at Milestone Trailer Leasing. What does your typical day look like? My focus has been to grow the Dallas market and maintain our existing customer base. Dallas is one of our newer locations (we opened last summer). It’s a growing market and it’s a great place to be in terms of the economy. Dallas also has an unusually high amount of competition. Seeing how Dallas is a saturated market, how do you reach these customers? I try to use all the different modes of marketing including phone calls, emails and personal visits. In this industry, you must be face-to-face with the customers and prospects which makes personal visits vitally important. I am involved in the Transportation Club of Dallas/Fort Worth and other industry networking events. You’ve got to be making those personal connections. Bringing on customers from my previous employer who sold their trailer leasing division and got out of the business. I’ve been in Dallas since 2010, so I had built up some business with other companies and past referrals. It was exciting to get those customers to come over to Milestone. There’s a lot of on uncertainty with how the ELD mandates will affect the industry. What things about your job get you excited? We are absolutely the best trailer leasing option out there. So many of our competitors are letting their customers down. Since Dallas is a newer location, it’s fun getting our name out there. Part of what I’m doing is talking with people and making them aware of who we are and what we offer. It’s thrilling to know that our executive team responds promptly and appropriately plus the fact that we’re in 27 locations with over 40,000 units definitely gets the attention of our prospects. I just want to see Milestone’s brand grow and excel in the North Texas market. I see it as an exciting thing as we keep moving forward. What is a great story about Milestone Trailer Leasing that you love to share? We were able to use 15 of our storage trailers in the show, Queen of the South, which is on USA Network. Our trailers were used to simulate a loading dock in Galveston, TX. What is a great customer story that you love to share? I walked in at the right time to visit with a prospect. He said, “We have a problem. We need equipment and your competitor didn’t have a quote approved, so the costs actually came back higher but I signed the agreement anyway. I was also just told that they won’t be able to provide the trailers which we need in service within the next two weeks.” We ended up taking three 2009 model roll door trailers, ordered three new lift gates, got them installed and ready to go in a one-month period (from getting the right approvals through our executive team, lift gates ordered, installed and ready to go). The customer was impressed. This is a great example of how quickly and effectively we can respond as a company to cover a unique need. While I was in college, I started working part-time for my dad’s trailer rental and leasing company, Personal Attention Leasing (PAL) which was based in St. Louis, Missouri. At the time, he had a rental fleet of 200 trailers. The summer I started, he added his second location in Kansas City, Kansas. I always thought it was a temporary position, as I had different plans for my career path. I moved away to Chicago and Los Angeles while got my degree at but eventually settled back to the St. Louis area to help again with the business. We often joke that once you’re in transportation, you never get out! Over the course of 10 years, Personal Attention Leasing grew through acquisitions of assets and companies to a fleet of 15,000 trailers and 12 locations. I held several roles in the company during those years. From inspecting equipment, processing invoices, human resource function, to helping with IT. Whatever it was, I would jump in and figure out how to make it happen, always putting the needs of the customer first. The growth of the company and my various roles gave me tremendous exposure to all aspects of the business, which I couldn’t have learned in any classroom. Considering the fact that I worked for my father, I put pressure on myself to prove to my co-workers that I earned my position and that nothing was “given” to me. I often think back to how much I liked to play kickball at recess in the first grade. However, the boys would move in, thinking I couldn’t kick it very far. Then I would kick it over their heads. I simply wanted to get out on the kickball field and play (or win) the same game, the same way as my classmates. No special treatment. In 2016 Personal Attention Leasing was rebranded to the parent company’s name of Milestone. The purpose was to represent all product lines to the market including intermodal equipment, containers, chassis and highway trailers. Today Milestone Equipment Holdings features 84,000 assets in total. As Executive Vice President of Branch Operations, I oversee our national network of 25+ locations in the Trailer Leasing division. Our highway office is also our St. Louis branch, so it keeps me in touch with the equipment, driver interactions and the core of our businesses. With our growth trajectory, I have been fortunate enough to see the transportation industry in all types of businesses and applications. I enjoy learning the inner working of the retailers, manufacturers, distributors and trucking companies. I’m equally passionate about helping these industries to creatively solve problems. I enjoy working with the employees in the field, making them successful and remaining diligent to serving our customer base. Being a woman in trucking reminds me of being on that kickball field. I don’t want special treatment. Not in my favor or against me. I am knowledgeable about this business, I know equipment, I have ideas, I like building business partnerships, and I enjoy making a profit. I want to use the skills I have developed to compete in the game. From Monday, November 6th to Wednesday, November 8th, I will be joining transportation, logistics, and supply chain peers at the Accelerate! Conference & Expo, hosted by Women In Trucking. If you will be attending and would like to meet, please complete the form below. The Women In Trucking Association is a non-profit organization with the mission to encourage the employment of women in the trucking industry, promote their accomplishments, and minimize obstacles faced by women working in the industry. For nearly a decade, we’ve been focused on this clear mission. It’s supported by a passionate leadership team, highly engaged members, and committed sponsors and partners. We continue to build a strong community among our members (primarily business professionals and professional drivers) who believe in and support our mission. Traveling across the country and having an opportunity network and meet great individuals along the way. This is what Sean Ellison says is the best part of his job as Vice President of Operations at Milestone Trailer Leasing. Tell us about your responsibilities as Vice President of Operations at Milestone Trailer Leasing. What does your typical day look like? A typical day consists of managing our branch network. I oversee/assist with the buying and selling of equipment, coordinating deal fulfillment, and satisfying customer needs across our national network. I also manage the day-to-day personnel of operations out in the field. The great thing is that no day is the same. When does your day start and when does it end? My day starts the moment the alarm clock buzzes and goes until I sleep. Customers in the transportation industry have needs that are 24 hours a day. Assistance is needed around the clock. Our operations people are fielding requests at all hours of the day and our team is always there to help them when in a bind. I am most proud of assisting and developing our branch network. We started out really small and now we’re capable of serving transportation needs of all sizes all over the country. I’m also very proud of the culture that we’ve established, and the personnel that we’ve built. Our customers will get same service in York, Pennsylvania as they would in Los Angeles. I’m proud of that cohesiveness. What are your thoughts about leadership? What’s key in building good teams? It happens with extensive amounts of one-on-one time. When we’re onboarding our employees, we spend a lot of time with them at our branches. We go over best practices and best ways in interacting with our customers. That kind of training takes a lot of time and energy. We are intentional about educating them on the way that we develop services and a lot of that comes from other employees who have been in this industry for a long time. What is the key to customer service? What separates the good from the great? The “great” is empowering individuals at branches to make the best decision for their customer quickly and effectively. And giving them the tools to do that. Not having to tell customer, “I’ll have to get back to you with an answer,” and instead allowing our employees to have the flexibility to provide on-the-spot answers and having the confidence to do that. The trend toward e-commerce and just-in-time deliveries. The need for everyone to have everything done yesterday. This all leads to the challenge of tying together the right equipment, in the right place, at the right time. But there’s a whole other piece to it – the logistics piece, the moving of product, getting trailers and fixing trailers. There’s the physical part, the “moving of iron,” and melding it with the technology part, that’s the challenge. It come down to meeting and balancing expectations. The best way to do it is by developing the best network – An excellent group of repair and delivery vendors and employees. Both in the field and at our head office. I’m confident that we have that in every network and that we set realistic expectations with our customers. I’m confident of the vendors that we’ve chosen to partner with. Our repair vendors provide the backbone to our capabilities. Having a vast network of experienced and knowledgeable transportation professionals who are empowered to make quick decisions benefits Milestone customers. It really comes down to the educated people in the field who can take our vision and our customers’ requests and put them into action. I like the fact that technically it’s a big industry, but the country gets smaller and smaller with technology. Being able to network with people around the country is something I love. I get to travel around the country and meet with people. My favorite part is being well traveled and connecting with fantastic people along the way. I always enjoy sharing Milestone’s history. The original founders and how they came together from across the country to create the basis of what we work with today. When knowing how we got here, it makes working towards those same goals, on a much larger scale, much more enjoyable. As President of Milestone Trailer Leasing, Jeff Alpert oversees the company’s highway trailer division which consists of 25+ locations across the US and 57,000+ units. The company veteran (he joined Milestone in 2000) recently shared what accomplishments he is most proud of and the biggest challenges facing the transportation industry. Tell us about your role as President of Milestone Trailer Leasing. What are your day-to-day responsibilities? I’m responsible for the oversight of Milestone’s highway trailer division which consists of 25+ locations and 57,000 units. My role is to help make everyone around me successful and get obstacles out of their way. I’m proud of the whole journey. I’m proud of the many years of organic growth to becoming one of the largest and fastest growing transportation equipment lessors in the United States. Biggest challenge facing your industry today? How to tackle employee shortages and trying to get young people excited about the industry. Hard to get a smart college grad to get excited about this space. We’re losing a lot of experience, knowledge-based in the business. What does the future hold for Milestone Trailer Leasing? What things are you excited about? Back to these ideas of flexibility and being creative problem solvers – for me personally and for the company DNA, it’s about the love of solving pain points and solving problems for our customer. We are continually expanding our knowledge around finding solutions in trailer leasing, especially with how quickly things are changing in transportation. It’s related to how far we come. One story has to do with one of the first big acquisitions we worked on as a young company. They asked us about our net worth. It was $1 million. They asked, “$1 billion?” And we said, “No, $1 million.” It was kind of comical because it showed what a small potato we were at the time. And now here we are, close to a $1 billion company. One of the greatest gifts we can give back is our time. We recently had an opportunity to volunteer as a corporate team at the Youth in Need Head Start Center in Wentzville, Missouri. 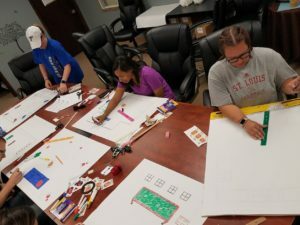 More than a dozen team members from across our divisions joined forces on July 21 to work in classrooms with children and on various service projects around the facility. Team members were all smiles working with the children. Carolyn Mueller and John Reitano enjoyed entertaining 2-year-olds on the outdoor playground. Chris Bachmann volunteered in the 3 to 5-year-old classroom. 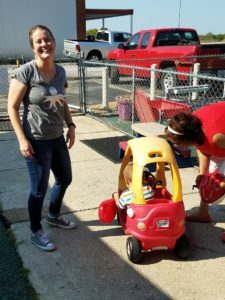 Patti McAlister and Sarah Mesnier loved getting to know the infants and toddlers. Founded in 1974 by community volunteers, Youth in Need offers service and support programs to over 12,000 children, teens and families across eastern Missouri. 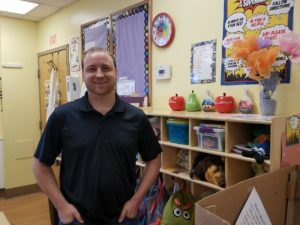 The organization provides services including education, counseling and support groups, and infant, child and family development at more than 40 sites in six counties.